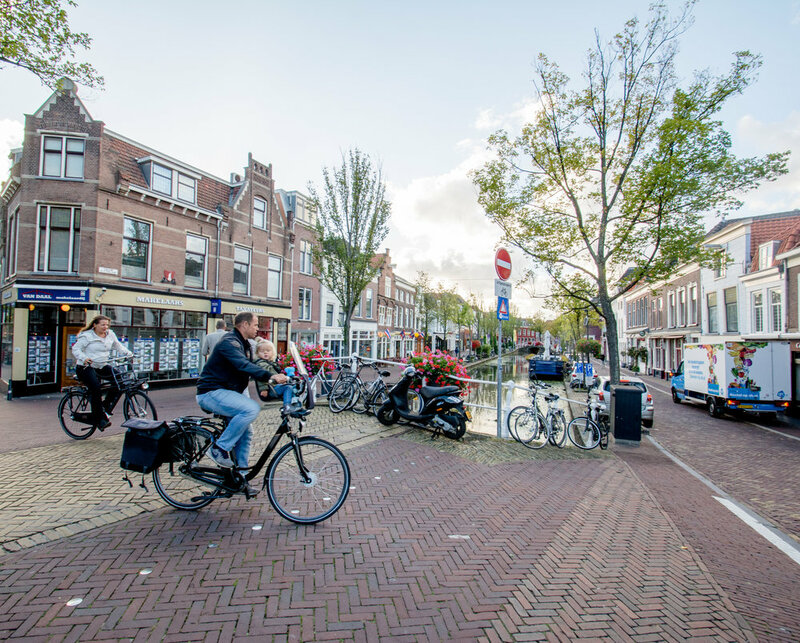 Delft’s (left) historic urban center features picturesque canals and bicycle-friendly streets, and Rotterdam’s (right) a denser, more modern experience with similarly bicycle-oriented roadways. Both locales provide opportunities for recreation, quality of life, and entertainment within easy biking distance, and at a mere fraction of the housing cost of their American counterparts. When we found out what our Austrian friend pays for her two-bedroom apartment near Vienna’s city center, we thought we misheard her. We asked again, and when her answer remained unchanged, we thought she must be mistaken. How can a newly-renovated, two-bedroom apartment a mere 25-minute walk (or 10-minute bike ride) from Vienna’s city center rent for only €700 ($805 USD) a month? To our friend, a student at one of Vienna’s universities, her €350 rent check each month might seem steep. But to us, it was an incredible steal. For $975 USD a month, my partner and I rented a “one-bedroom” apartment (really a glorified studio) one-mile from downtown Orlando. After a year there, our rent jumped to $1,050 per month. Split between two working people, our rent was easy enough to pay and allowed us to save money for our travels. While the vintage character of our 1930’s carriage apartment justified its tree-house size, the apartment nevertheless had its internal limitations that we accepted as part of a temporary housing situation. We knew that, later in life, we would have a bigger, nicer place to match our increasing incomes and professional experience. We also knew that, while we paid less for our apartment than friends in big cities, the relative affordability of Orlando rent didn’t afford us the same quality of city. Sure, we grew to love Orlando and all of its incredible music, food, weather, and people. But we never lied to ourselves in thinking that the “walkability” of our historic neighborhood north of downtown matched the urban experience of Washington DC’s Logan Circle. We never mistook our Lake Eola Park, downtown’s centerpiece of public green space, for Brooklyn’s massive Prospect Park. And we certainly never confused our commutes on Interstate 4, named the most dangerous interstate in the country, for a rush-hour trip on Boston’s Red Line. However, we never considered that we paid more to live in Orlando—a city ranked one of the most lethal for pedestrians and cyclists in the country—than people pay to live in Vienna, a city with one of the highest qualities of life around the world. Our surprise only grew as we learned of rent prices from our friends in other European cities: one couple pays €1,400 ($1,610) per month for their renovated two-bedroom apartment in Mitte, a popular Berlin neighborhood; another couple in the Netherlands pays €600 ($690) per month for their one-bedroom apartment a short walk from Delft’s city center, a small university town renown for its charming canals and only one train ride away from Rotterdam, one of the country’s largest cities. How could this be possible? How could we have paid more for a city that provided less? 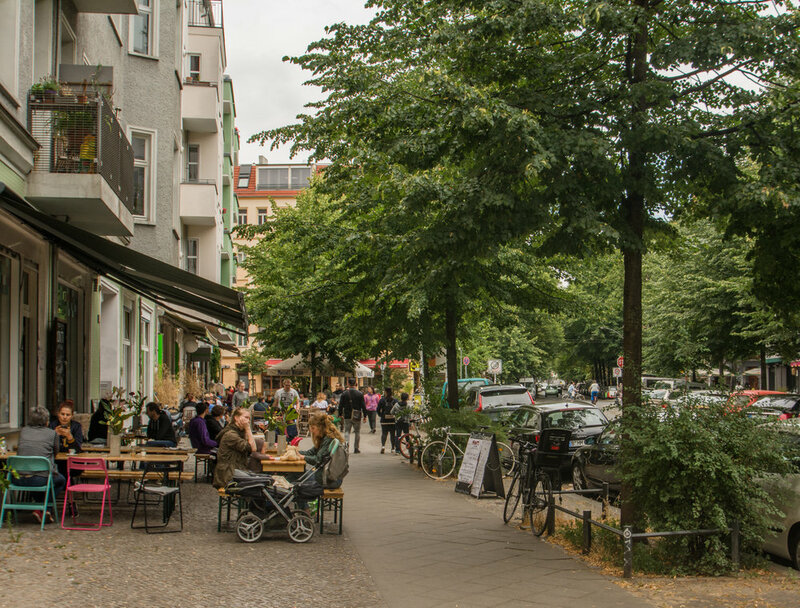 Walkable, eye-catching urbanism in Berlin’s Friederichshain neighborhood. While Berlin and other comparable European cities provide slightly lower purchasing power than American cities like Orlando, they provide countless other quality-of-life benefits in the form of walkability, public transportation, green spaces, and more. According to Numbeo, New York City is the most expensive city in the world when factoring in cost of living and rent, followed only by San Francisco and a host of cities in Switzerland. To us, it is no shock that the average rental price in Manhattan is $3,050 a month; Manhattan’s notorious housing prices are almost a bragging point among the daring millennials who make the leap to the Big Apple, and are certainly one of the main deterrents of would-be Manhattanites. San Francisco’s housing averages actually come in higher ($3,500 per month), but are relatively lower than New York City’s when adjusted for other cost of living factors. But following that same calculation—which compares the cost of living and rent in any given city to that of New York City—Vienna, Berlin, and Rotterdam are all almost 50% cheaper. Orlando, meanwhile, also comes in at being almost half the cost of New York City, but provides median income residents with 133% more purchasing power than New York City residents with an average salary. Residents in the European cities mentioned, on the other hand, enjoy only slightly more purchasing power than Big Apple counterparts: Rotterdam (109%) Berlin (108%), and Vienna (101%). Based on these numbers, it would seem my partner and I were in fact better off in our Orlando apartment than mere rent would suggest. Instead, I see another picture in these rankings. Perhaps the average income in Orlando affords people more indulgences and needs than the average income in Vienna. But being able to eat out or shop more often won’t change the fact that, in Orlando, I can’t bike home from my office without meticulously planning my route beforehand to ensure I’ll make it home safely. Extra purchasing power in Orlando won’t change the fact that I can’t, within walking distance, traverse neighborhoods that proudly support a range of incomes, ethnicities, and cultures. It won’t change the fact that there is no dedicated pedestrian promenade in our community, save for occasional weekend events or the far-flung Disney Springs. And it won’t change the fact that I’ll likely spend part of my hard-earned income on paying for a car, a mobility necessity in the still automobile-dominated region. In Orlando, as with most Sun Belt cities, many things need to change to provide residents with the same quality of life as in Vienna. We need more transportation options, parks and open spaces, and inclusionary zoning. But we especially need more urban housing. It would be futile to search for a two-bedroom apartment akin to that of our friends’ places in Vienna or Berlin on Florida soil because such an apartment simply does not exist. The majority of multifamily housing in Orlando comes in large apartment complexes which lack the strategic location, architectural variation, and street block layout of Europe’s urban housing. 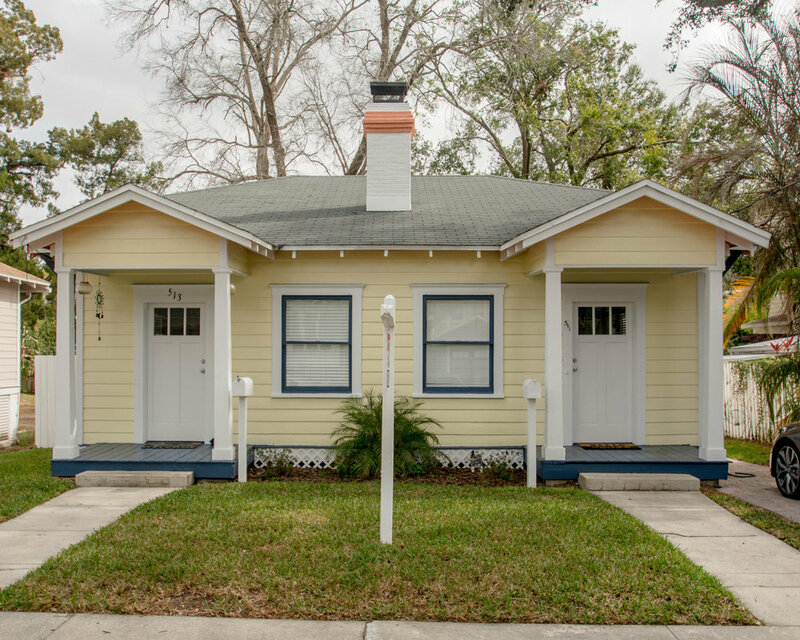 Instead, Orlandoans seeking an urban experience are left to rent from a duplex or quadplex in one of the city’s older neighborhoods; a detached, single-family house that will likely have to be shared with roommates to afford the many bedrooms; or a newly-constructed apartment in a large complex that likely comes with an above-average price tag. Duplexes, garden apartments, and “granny flats” already exist in relative abundance in the housing stock of many historic neighborhoods. By streamlining zoning requirements to allow for more density within existing neighborhoods, municipalities can facilitate incremental development of more housing options and foster affordability in walkable communities. We can do better. Fortunately, we have started to reimagine our city and embrace more high-density, mixed use living with downtown’s North Quarter and Creative Village. But we need to upzone existing neighborhoods to make better use of land adjacent to the city center. We need to build with block layouts, infill our urban areas, and streamline development approvals. But we also need to build cheaper housing with mid-range interiors and without costly amenities like pools, gyms, and massive parking garages, so that teachers, paramedics, civil servants, and single parents can afford to live downtown. Aspiring for these changes on a “quality of life” basis is both selfish and disingenuous. My ulterior motive for this admonition is the sober understanding that how we inhabit cities directly affects our resource, land, and energy consumption. As the Intergovernmental Panel on Climate Change’s (IPCC) recent report warns, we do not have time to debate zoning or complain about increased traffic. We know that cars and sprawl will not get us closer to carbon-neutrality, but that development that prioritizes livability, accessibility, and active transportation will.